The school year has ended or will end soon for most public and private elementary, middle school and high school students. This means a family summer vacation is in the plans for many families which also includes extended family including grandparents, grandma, grandpa, aunts, uncles and cousins. 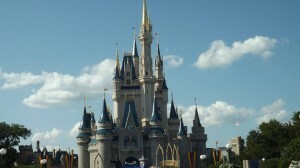 One of the top destinations for family vacation travel is to the Orlando, Florida area. 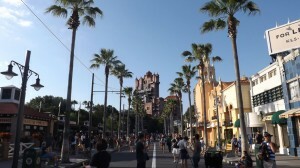 Including Lake Buena Vista and Kissimmee Florida, the Orlando area is a popular choice because of the abundance of amusement parks including The Walt Disney World parks with Magic Kingdom, Epcot, Animal Kingdom and Hollywood Studios as well as Universal Studios and Seaworld. When planning your trip, there are many things you can do to cut down on expenses. Simply ordering Disney and Universal tickets through your local AAA office, can give you savings. If you are a Florida resident, it is also worthwhile to see what Florida resident discounts are available at each individual park. Often there are discounts available with Coca Cola printed on cans and other brands of soda, so be sure to keep an eye out on that as well. juice box type drinks to the park. My favorites are the organic Honest Kids pouches. These are so good that even adults won’t mind drinking them. With the warm Orlando weather, you need to be sure everyone stays hydrated. Unfortunately the cost of a soda or bottle of water can get pricey when included for the entire family. Most hotel chains in the Orlando area will have a mini fridge in the room. If not, use the ice buckets to keep the drinks cold. Another option is to bring everyone a reusable water bottle and refill them at the water fountains available in the park. We have found it is easier to bring frozen water bottles and juice boxes to the park but this option also works. If you don’t want to carry your drinks in a backpack, if your party is going to have a stroller, wheelchair or motorized scooter, a backpack can usually be placed on the back. Another option is to pay for a locker and store what you don’t want to carry in the locker and return throughout the day to refill or have a snack. We also find it saves us significant money on meals at the park by having a large breakfast before going to the park. We also choose to have a late dinner after the park, perhaps ordering pizza and bringing it back to the hotel room. Orlando area restaurants are wonderful and usually have paper plates, silverware and napkins available just for the asking. Pizzeria Uno has a current carryout special near Downtown Disney that offers buy one pizza and get one 1/2 off. Valid on regular and large size. Another thing to consider is healthy snack food options. Frozen grapes are a great option as well as snack chips, breakfast bars or cookies. Employing just a few of these options can easily save a family of five more than $100 on a typical day at the park. Some couragous folks have even made peanut butter sandwiches for the family and brought them into the park as well. I am Lynette Henk. 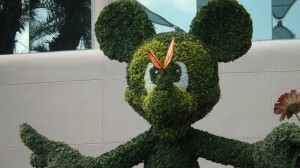 I love to vacation in Orlando, Florida and visit the Walt Disney World resort. I share the benefits of XO healthy cold pressed chocolate for a living. For more information, please call 941-216-5727 or visit my website atColdPressedChocolate.com. I also help others start their own business sharing the health benefits of chocolate as well. With our new Xolove chocolate love bites, the perfect love food, demand for XO healthy chocolate products has increased dramatically making this a great time to get started in this business.